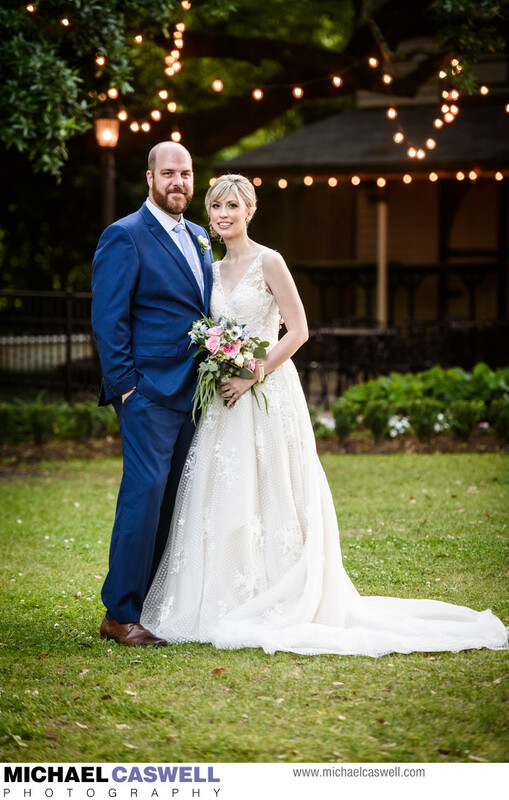 This New Orleans area couple had gotten married at Compass Point Events in Algiers on what ended up being a bit of a dreary and drizzly afternoon. Though they were able to have their ceremony outside (with a lot of umbrellas! ), and the weather did clear up in time for them to have their confetti and sparkler send-off at the end of the night, they had really looked forward to getting some outdoor daylight portraits of the two of them after the ceremony, which we were not able to do because of the rain and wet grounds. 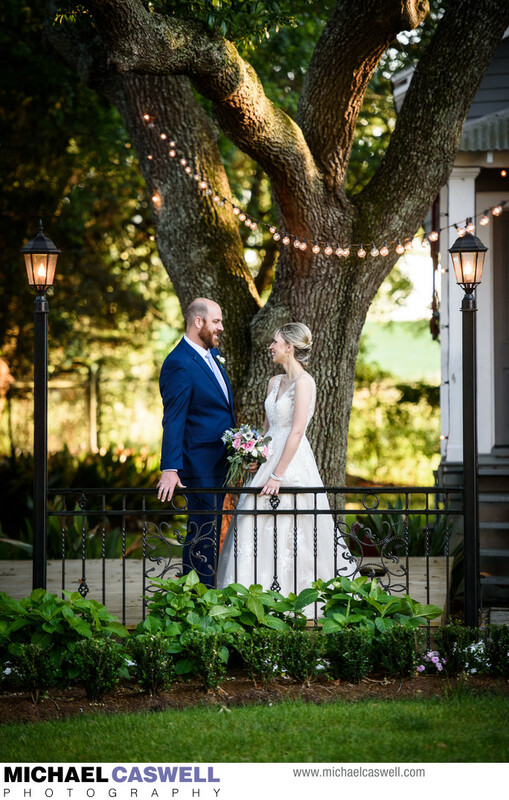 The solution was to book a post-wedding portrait session a few weeks later, which the staff of Compass Point Events were able to accommodate. I'm sure given a choice, the bride would have much preferred to have done these photos on the wedding day, as there were some additional expenses involved (flowers, hair/makeup, and the portrait session itself) as well as the investment of time to get all dressed up again, but I really think she came to recognize that it was being a blessing in disguise. Even though couples may, during the planning stages, be enthusiastic about doing these kinds of portraits on the wedding day, when it actually comes down to taking the time to do them (especially if being done after the ceremony), it's all too easy to start to feel anxious about missing even just 15-20 minutes of the party. 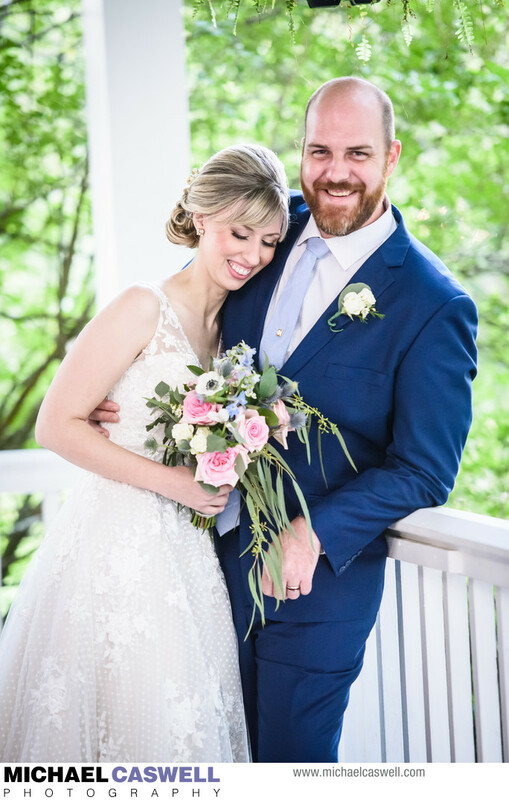 With a post-wedding portrait session like this, which is also sometimes referred to as a "day-after session" (even though it's often not literally the day after the wedding), this stress is completely alleviated, allowing us free-reign to shoot at a relaxed pace. 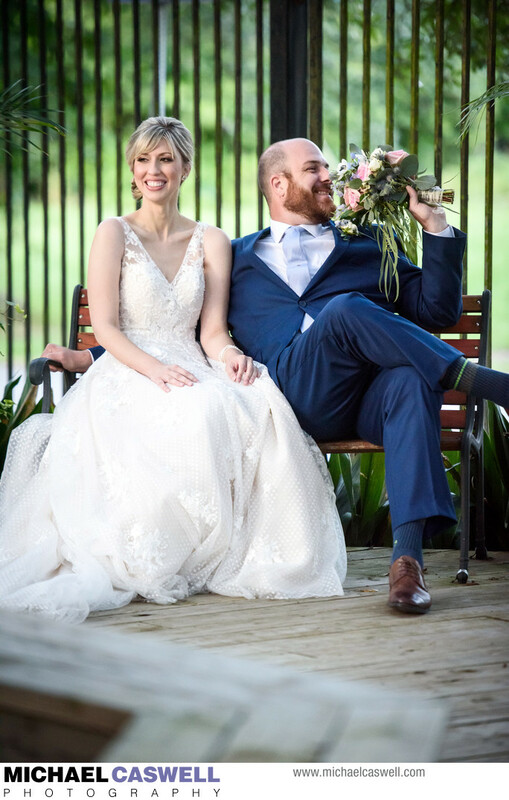 In this case, I think this really allowed us to capture the couple's personalities far better than we would have been able to on the wedding day. We also benefitted from having more flexibility in terms of where we shot, since there were no guests, and the venue was not set up with tables and chairs as it would have been the night of the event. "Michael!! These are absolutely perfect!! The lighting is gorgeous! I love that we have so many great ones to choose from -- even Chris and his mischievous side lol! Thank you so much for the extremely fast turnaround time on these and for working with us last Thursday to make sure we captured so many wonderful moments! We are really going to need more picture frames now!! Thank you for everything! You are awesome!!"